John Clarke of Henstead, Suffolk. 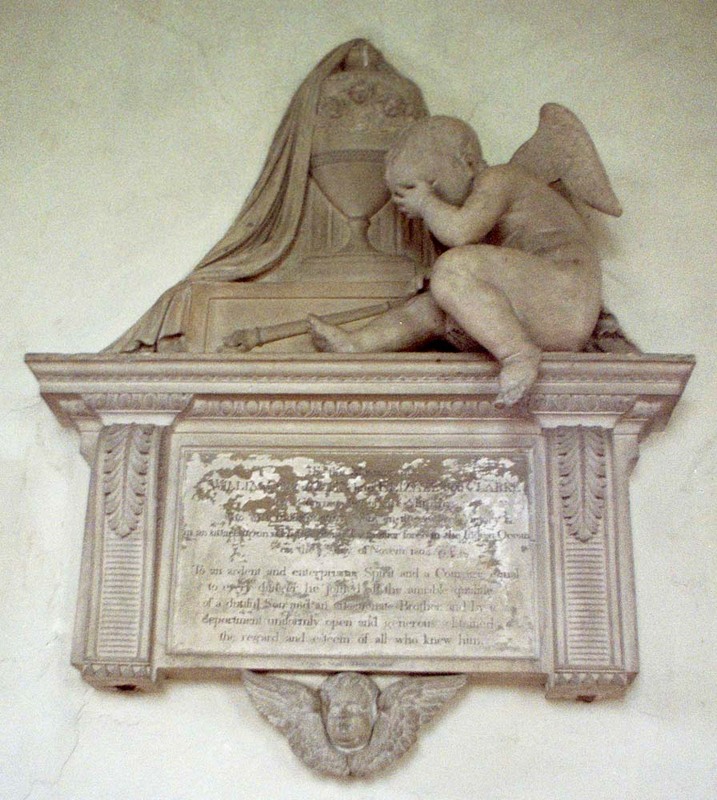 In St Mary's Church, Henstead, is a mural tablet to William Clarke, who lost his life in an engagement with a Dutch privateer in the Indian Ocean in 1804. A correspondent, Mr A. South Clarke, who has been collecting genealogical notes concerning this old Suffolk family, came across a MS account by an eye-witness of this engagement which will be of interest to the numerous descendants of the family now scattered throughout Suffolk. The writer of the manuscript is Thomas Sayer, of Tofts, Suffolk, an apprentice in the ship Iris. He states:- "William Clarke sailed from Portsmouth in the year 1800, to whale off the coast of New Holland. He was cruizing in the Straits between the N.W. part of New Holland and the island of Timor where the Dutch have a settlement. In company with him for mutual protection was cruising a ship belonging to London, as there was a Dutch Brig Privateer of 18 guns and a 100 men, that had been very much annoying them. However, as they were both armed with eight guns, six pounders, the Dutchman did not like to encounter them, but kept watching for an opportunity of their being separated, or being amongst whales. One day the privateer was seen to the leeward of them watching their manoeuvres, and Captain Clarke going on board his consort, told the Captain - who was an American - that if he would join him he would go down and engage the privateer. Even if they could not take her he thought that if they both stuck close to her they would be able to give her such a drubbing that it would drive her from their whaling ground. To all this the Yankee captain agreed. Captain Clarke had 86 pounder guns mounted. And had 24 men and boys. His consort mounted a like number of guns and had the same crew. Having cleared his decks for action, Captain Clarke bore down on the privateer, and his consort also bore up and stood towards her. The Iris sailed faster than her consort, or carried more sail, anxious to get alongside the Dutchman, which was laying-to waiting for them, depending on her superior strength as she mounted 18 8-pound cannonades and had a complement of 100 men. She fired on the Iris as she came down, which fire captain Clarke did not return until he ran under her stern and luffed up on her lee quarter when he began to engage, expecting his consort to engage her on the other side, and so divide her attention. What was Capt. Clarke's surprise, when the smoke cleared away, but to see his cowardly consort laying out of gunshot, looking on, and making no attempt to come to his assistance. "The Iris," the narrative continues, "had a half poop on which Captain Clarke stood to watch and take advantage of the motions of the privateer, for the engagement depended on good manoeuvring. The mate came to him and begged him not to expose himself so by standing on the poop, but to come on the main deck, where he would not be so plain to their musketeers. The privateer had more men than she required to man her guns, so had many quartered at small arms, and kept up a constant fire with them. Most unfortunately Captain Clarke knew not fear, and he was too bold - I will not say headstrong - to take his mate's advice, but remained where he was, a complete mark, as they soon noticed him. After a few broadsides a musket ball passed through both his thighs, and he was obliged to permit himself to be carried below. The mate, who then took command, seeing there was no hope of their consort coming to their aid, most prudently made off as soon as he could, the privateer having got such damage that she would not or was not able to pursue them. There was little or no hope for Captain Clarke from the first, as the ball had passed through both thighs, and in a most dangerous part. The weather was very hot, and mortification soon took place, and on the third day he died. His remains were taken on shore at a small island, uninhabited, that lay off the principal Dutch settlement, on the island of Timor, called Rat, or Rotten Coral Island, about one mile in diameter, and there buried. 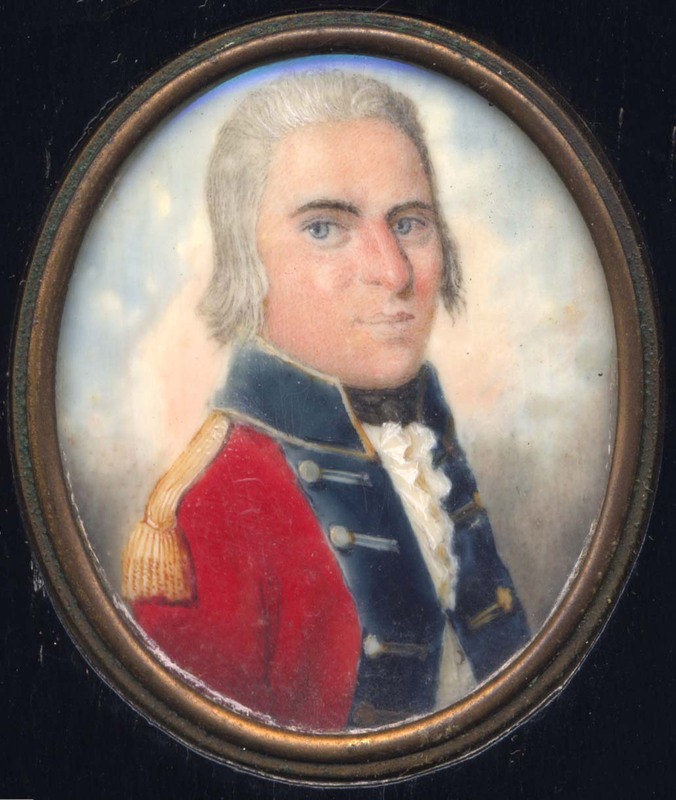 I (Thomas Sayers) attended Captain Clarke from the time he was wounded until he died. And at his request frequently read the Bible to him." Wait a second. Ship's master is fatally wounded by musket fire from snipers aboard the enemy vessel after he ignores warning from second in command not to stick his neck out so far. We've heard this one before, haven't we? 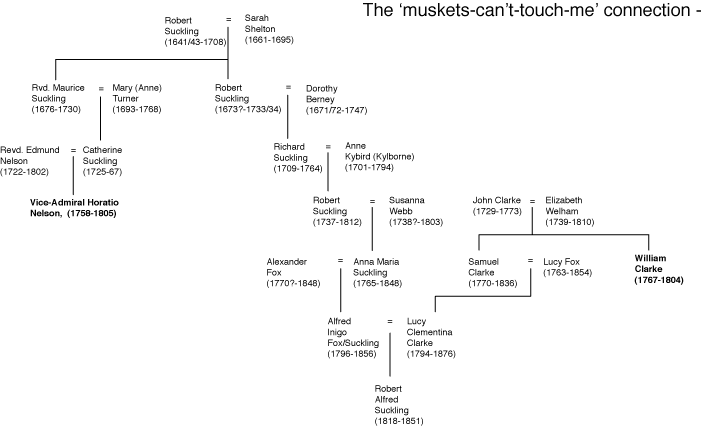 Well, there is a neat genealogical twist to this story. Last modified: 2011 April 10th.